Home Decoation : on your own large dress for chandeliers, sconces, pendant lighting and for specific home decoration. Warm light : Warm light helps you avoid eye discomfort caused by the light and hard flickering light glare. * Perfect for the living room, bedroom, home, hotel, corridor, display cabinets and so on. 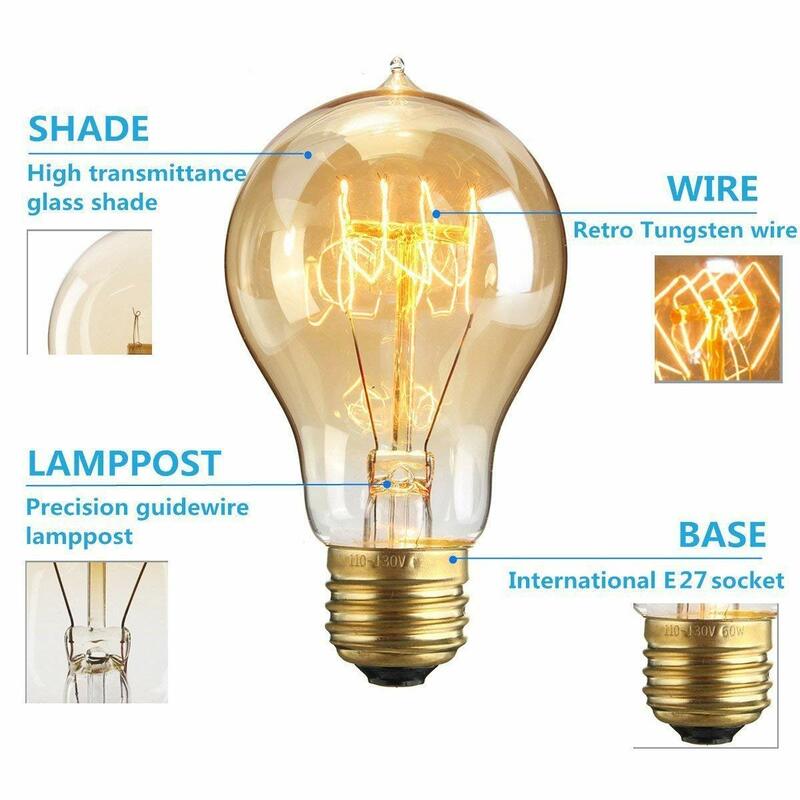 * Ideally suitable bulb pendant lamps, wall lamps, industrial lamps, etc. * Specially designed for the E27 standard built. * If the bulb is damaged during transport, please let us know. We are willing to resend or refund.